Probably you already noticed, that we mentioned the phrase “local heroes” in a number of occasions since the launch of our new fund - articles, interviews, our website, our physical banners and so on. Even if you meet any of our team members, you will notice the excitement we have when talking about the local heroes, which we are supporting. Who are they and why do we get excited about local heroes? The main reason is a deep belief of ours, the “Why?” of our team - we believe that tomorrow will be shaped not by someone else, but by the unflinchingly positive, tireless, change driven entrepreneurs who stop at nothing in pursuing what they believe is the future. In the fragmented ecosystem of Southeast Europe, most of the entrepreneurs start locally, but they have really strong internal aspirations and bold global vision. They may be just starting or be already successful, but manage to inspire others along the way and cause creative disruption with their work way beyond the boundaries of their city, country or region. This is why we see in them the “local heroes” that will lead the region towards a brighter future. Our job is to seek out these local heroes and teams and give everything we have to support their growth and global outreach. In the broader sense, being a local hero is not about building a unicorn, using the latest technology turned into a buzzword, or raising VC money. Being a local hero is about the eternal flame you have inside, the values and principles which guide you daily and the burning desire for a better world. Sooner or later these characteristics will lead to something greater and we want to be the catalyst. You’ve heard about them, haven’t you? You and me, we’ve heard about some of these local entrepreneurs - read media interviews, seen them on conferences and even talked to them. But you would rarely recognize an aspiring hero in them. The missing link and what I always wanted to do? Companies are built by people, so for me, it makes sense to try and get to know better the personalities, beliefs and mindset of these people. Bear with me now, I know that none of these questions seems sufficient on its own to get a real feel. However, the combination of 50+ rapid-fire questions and their honest unrehearsed answers, shows you a different side, more personal one, which probably traditional media interviews never manage to show. Stepping on all of the above, we decided to launch a new video format with rapid-fire questions unknown to the guests. The interview guests will be people who we consider “local heroes”. Some of them may be just starting up, others are already established entrepreneurs and investors - it doesn't matter! As we already said what matters is the eternal flame they have inside, the values and principles which guide them daily and the burning desire for a better world. 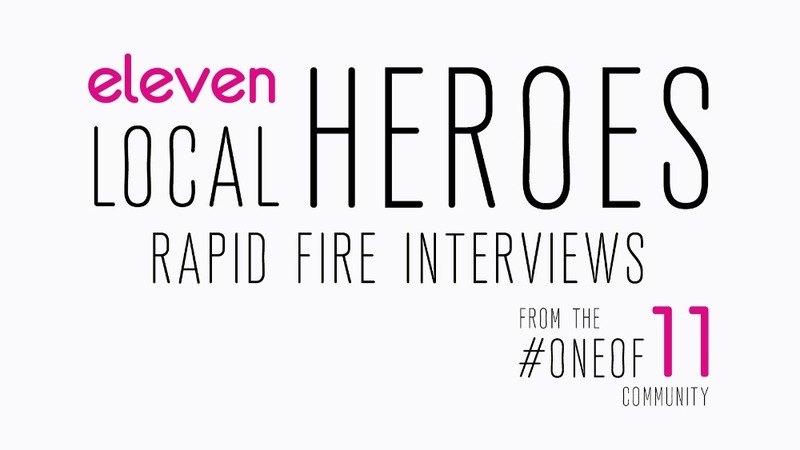 The goal is for you to meet the local heroes through a non-traditional unslated video interview. Please, enjoy the first Rapid Fire Interview with Alexander Kitov, CEO & Co-founder of Perpetto (https://perpetto.com/).